The Royals District in partnership with Chung Wah Association and the West Australian Football Commission (WAFC) has dipped its toe into the Chinese community with a series of AFL promotional activities at the 2015 Chinese New Year Festival at Northbridge Piazza. The massive scale cultural extravaganza, which attracts more than 70,000 people per annum, is coordinated by Chung Wah Association. Whilst it’s a common sight to see more than 100 stalls dot the streets of Northbridge amidst a swathe of lion dancers and culinary delights, 2015 saw the inclusion of a stall with a difference hosted by WAFC and West Coast Eagles staff. Royals District Development Officer, Bronte Ryan, Participation Officer, Corey Ranger and Program Coordinator, Scott Jones, coached a smattering of kids and parents alike on the rules of the game and how to hand ball and kick through the use of AFL handball and kicking stations. Jones, Ranger and Ryan were inspired by the enthusiasm shown by kids to hone their newfound football skills and parents keen to support their kids in making their mark in junior football. The participants were supplied with footballs and posters promoting the Welcome to AFL Program in partnership with Chung Wah Association. 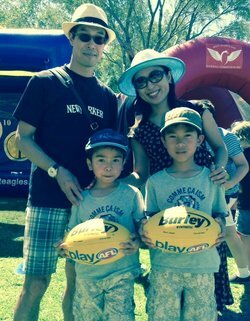 The Welcome to AFL Program is a bold new multicultural program conceived by the WAFC, Royals District and Chung Wah Association, which is scheduled to be delivered in Term 2 at Chung Wah Chinese School in Morley. 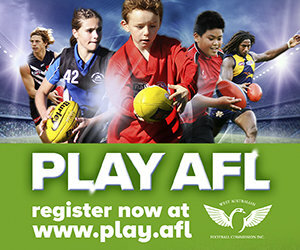 The ground-breaking initiative, which kicks off on the 9th May and concludes on the 13th June, is designed to educate boys and girls aged 5 to 17 about the basics of AFL and the key role played by Chinese people in the evolution of the national game, namely past West Perth FC Captain and WAFL Hall of Famer, Les Fong and Western Bulldogs FC Player, Lin Jong. The Welcome to AFL Program employs Auskick and AFL 9s to develop basic skills in the mould of inclusive games which are suited to all skill levels. Auskick and AFL 9s are non-contact products aimed at providing kids aged 5 to 9 and 9 to 17 respectively with an entrée to junior football. 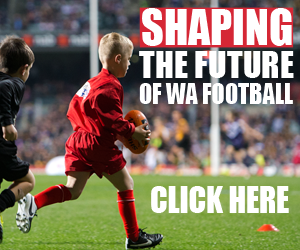 The program is the second plank in a long-term strategy to increase the number of Chinese AFL and WAFL supporters and subsequently develop more pathways for Chinese kids to play Auskick and junior community football at their local club. The program, which will be delivered by Royals District staff, will hopefully pave the way to participation at Morley JFC and Noranda JFC.